Founded in 1954 as Marin Senior Coordinating Council, Whistlestop is a San Rafael-based nonprofit that promotes the independence, well-being and quality of life for older adults and people living with disabilities in Marin County. 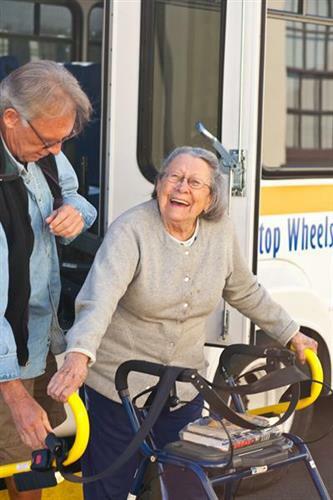 Whistlestop helps older adults connect to their community by providing transportation, access to healthy nutrition, referrals to older adult-friendly housing, opportunities to socialize and learn, and access to healthcare support. Whistlestop?s Active Aging Center, located in downtown San Rafael, is a vibrant social hub, with classes and activities ranging from Zumba and Beginning Italian to Digital Scrapbooking and Mah Jongg. It?s also where the Jackson Café is located, which serves delicious and healthy weekday lunches at subsidized prices. Through a partnership with the San Francisco/Marin Food Bank, Whistlestop offers a weekly Brown Bag Pantry, which provides healthy groceries, free of charge, for adults over 60. Whistlestop also provides special needs transportation services through Marin Access, a partnership of Whistlestop, Marin Transit and Golden Gate Transit. Need a Ride? See if You're Eligible for one of our Transit Programs! What's For Lunch? Join us at the Jackson Cafe! Need a New Hobby? Check out our Class Schedule! 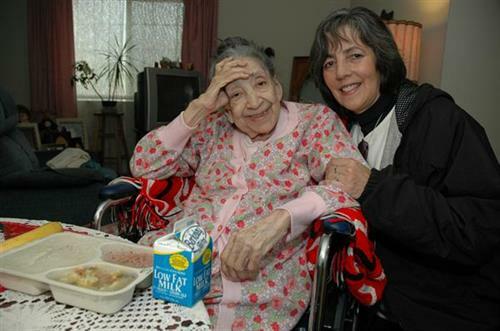 Help Support our Meals on Wheels Program! From 101-North, exit Central San Rafael, turn left onto 3rd Street and Whistlestop is on the right. From 101-South, exit Central San Rafael, turn right onto 4th Street and Whistlestop is on the left.